Cocktails from award-winning mixologist Talented Mr Fox, contemporary British food and artwork that reflects Soho's history set the tone at Old Compton Brasserie. 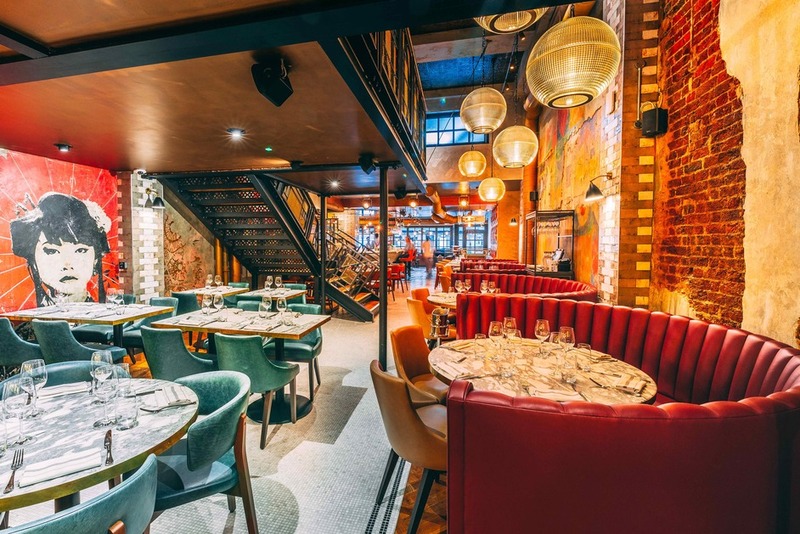 Part of Maxwell's Group, who also run Cafe de Paris, PJ's Bar and Grill and Sticky Fingers, this Soho restaurant offers brasserie-style dishes like a hearty breakfast pot pie, eggs Benedict and chia pudding with yoghurt, cherries, pistachio and honey. All-day options include pigs in blankets with creamy mash and onion jus, truffle roast chicken and kedgeree Scotch eggs with curried mayo. Cocktails pay homage to Soho legends like Ronnie Scott and Paul Raymond - an ode to the 'King of Soho', it's made with champagne, strawberry, white chocolate, and verjus and served in a faux fur jacket flute. Old Compton Brasserie gyms, sporting activities, health & beauty and fitness. The best pubs near London Old Compton Brasserie. Old Compton Brasserie clubs, bars, cabaret nights, casinos and interesting nightlife. Where to have your meeting, conference, exhibition, private dining or training course near Old Compton Brasserie. From cheap budget hotels to luxury 5 star suites see our discounts for Old Compton Brasserie hotels, including The Nadler Soho Hotel from 82% off.